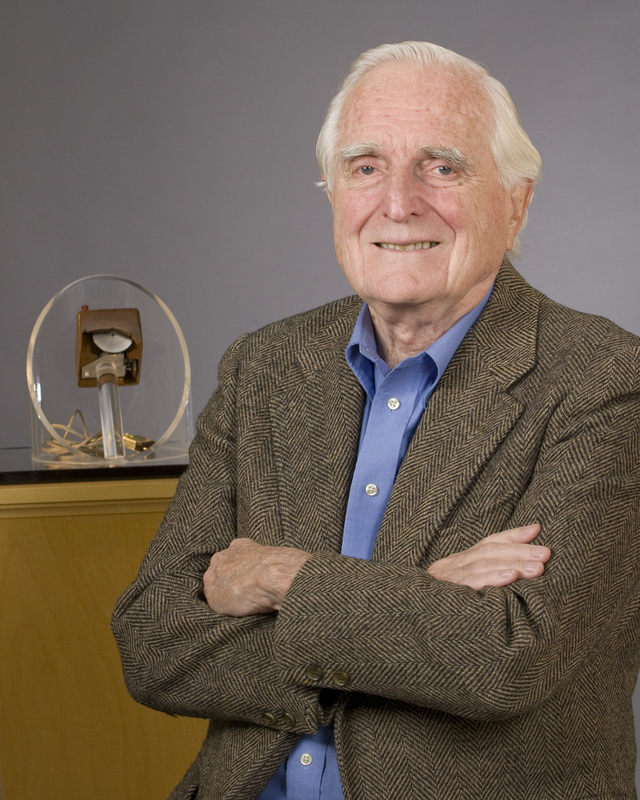 Doug Engelbart enlisted during WWII because of his deep sense of duty to country and humanity. He chose the Navy because of his fascination with radar, a relatively new and to him very thrilling technology, and for this the Navy was the place to be. Once in the Navy however, in order to qualify for the highest levels of training in radar electronics, one had to advance through several levels of rigorous preliminary training in electronics and radio materiel, and pass the Eddy Test which served as the entrance exam to the coveted Electronics Training Program. It is estimated that of the roughly 500,000 enlistees who were given the Eddy Test during WWII, only 6% passed the exam and completed the ETP. Engelbart graduated from the ETP (Treasure Island) as a Radio Technician, Petty Officer Second Class, on July 21,1945. Engelbart shipped out to the Philippines from San Francisco on Augusut 15, 1945 (V-J Day), to serve in (now peacetime) Manilla Bay. He considered himself very lucky that the war ended before his deployment, and later pondered how many of the millions of people who are killed or maimed in war might have, under other circumstances, gone on to make a tremendous difference in the world. Doug Engelbart first encountered Vannever Bush's seminal article As We May Think in a make-shift library on the island of Leyte. See Vannever Bush - Influence on Doug Engelbart for details.